This is not about EFN conference, rather about EFN main sponsor, the Friedrich Naumann Foundation for Freedom (FNF) and Germany. Last Sunday night, September 24, I joined FNF-PH officials and other friends in watching WAHL2017 live on tv, Germany’s Bundestag/Parliamentary elections, at the German Club in Makati City. The event was jointly organized by the four German political foundations in Manila — Konrad Adenauer (KAF, affiliated with CDU), Hans Seidell (HSF, also affiliated with CDU/CSU), Friedrich Ebertt (FES, affiliated with SPD), and FNF (affiliated with FDP). FDP and AfD as net gainers, the latter especially (first joined the elections just 4 years ago and got 4.8%, this year got 12.6%). FDP is pro-business, pro-liberalization, pro-energy realism. AfD is wild right and definitely anti-left. Germany is indeed moving right, which is the right thing to do. The lefties — SPD, Greens, Linke/left — are transitioning towards becoming marginal parties in the near future. Thanks to Wolfgang Heinze, FNF PH Country Director for inviting me that night. He’s speaking here, introducing FNF and its main advocacies and activities in the Philippines. 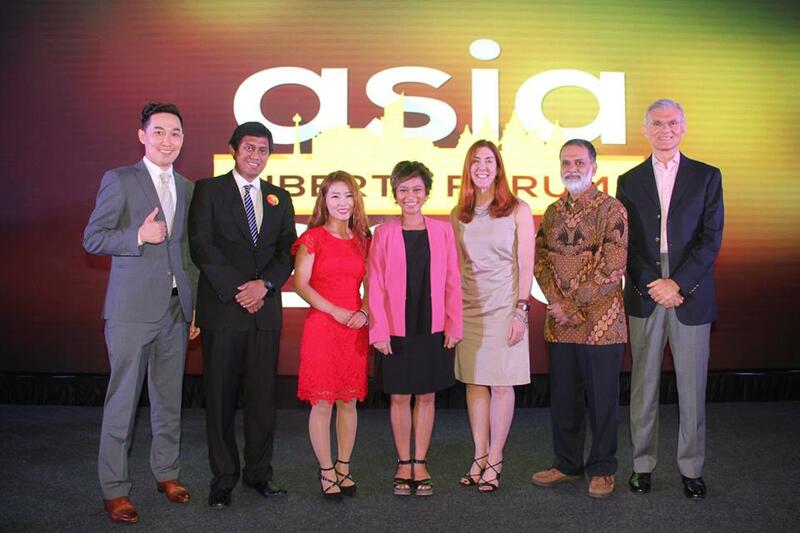 The Economic Freedom Network (EFN) Asia held its meeting 2017 last September 11 at the Intercon Hotel Kuala Lumpur, Malaysia. The Institute for Democracy and Economic Affairs (IDEAS, KL) and the Friedrich Naumann Foundation for Freedom (FNF) co-sponsored it. Small group. 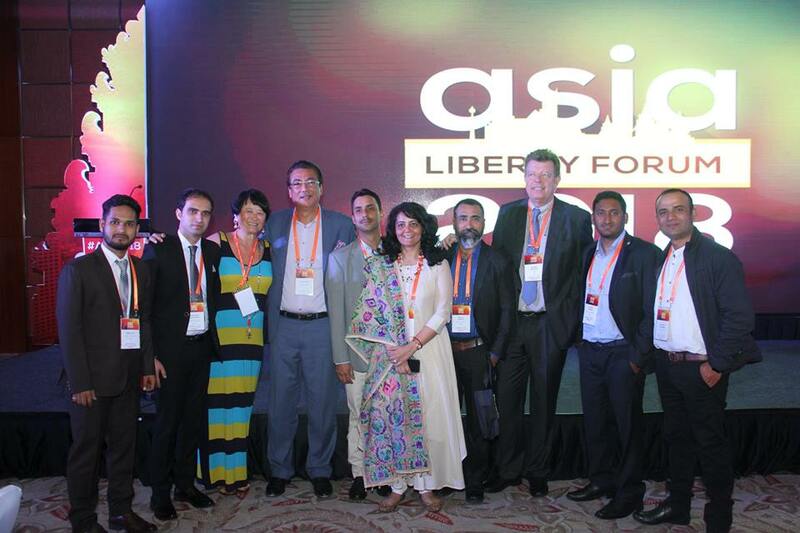 Main agenda was some reorganization of the network as there is now an annual Asia Liberty Forum (ALF) mainly sponsored by Atlas with support from the Center for Civil Society (CCS, India), FNF, Templeton Foundation, and local partner think tank/s in an Asian city where the 3-days annual conference is held. This is my article in BusinessWorld on August 25, 2017. I add two photos here, taken from EFN’s fb page. From left: Wan, John, Razeen, Young-Han. – Why Protectionism by the Billionaire US President? – How much of a threat caused by the Trumpian Protectionism? – Is Trumpian Protectionism Sustainable? – Can other powers fill in the US role? – The requirements for the leadership the global free trade regime: Leader has to prepare itself and operate on a rule-based trade policy and National Treatment for all players (treat all players as domestic players). The EU is more prepared, but not China. Furthermore, Big Players with market power are likely to resort to bilateral arrangements based on one-sided bargaining power. Therefore, relying on a multilateral platform is better than relying on a big guy leading power. Rebuilding the Multilateral Free Trade Regime via WTO is the solution. – Datawise, Asia takes significant market power, i.e. 33% of the global trade. Historically speaking, all Asian countries’ economies, such as Japan and South Korea, have emerged via the global free trade regime with no regret against the multilateral free trade regime, WTO. A multilateral free trade regime as WTO is welfare dominant to a single country leadership (by whether the US or China). Asia has kept the spirit of multilateral or plurilateral free trade regime via ASEAN and ASEAN+3, and even ASEAN +6. Asian economy with her complexity in terms of diverse stages of economic development and asymmetry of economic size and power works as a miniature of the global economy with gradual and sustainable unit of economic integration. – Where are we in the global economy? – But particularly on trade, something unusual is going on. Since the beginning of 19th century until 2008, world trade grew faster than world output, which is the indication that trade is the engine of growth. But since 2012 until the end of 2016, trade growth barely kept pace with world GDP growth at about 3 percent or less. This is highly unusual and tends not to happen except in war and deep recession. This is particularly worrisome for Asian nations, whom depend on exports. But still too early to tell if this is a new trend. I forgot to post this earlier, my talking points when I hosted one of the “Asian Café” on climate change, EFN Asia Conference 2015 in Bhutan. I don’t have any picture during the small group discussion, here with FNF Regional Director for E and SE Asia, Siggi Herzog, and SWS’ Mahar Mangahas. How does climate change (CC) manifest itself affecting people, economies and happiness? What does current evidence and projections say about the future? What are some existing successful responses to ensure resilience and adapt to changes, particularly from economic development point of view? How does CC manifest itself affecting people and economies and happiness? Percent selecting and rank of environment (2010). Source: TOM W. SMITH, NORC/University of Chicago. “Global Environmental Change across Countries and Time, 1993-2010”, Presented at the 2013 Research Session of the ISSP Meeting, Santiago, Chile, April 28 to May 1, 2013. Published by the Social Weather Station (SWS), Manila. What are some existing successful responses to ensure resilience and adapt to changes? Mumbai, India — The title of this piece is from JP Narayan of the Lok Satta Party in India, who made that comment during the Asia Liberty Forum (ALF) that was held from Feb. 10 to 11, 2017 in Mumbai. That remark seems to apply in many countries where the rule of law is weaker and the rule of men — especially those in charge of several forms of regulations — are stronger. These are the types of people who also impose restrictions and prohibitions on their political enemies and ordinary folk but exempt themselves, their friends, supporters, and families. “The word ‘Freedom’ has been lost because we mean ‘freedom from’ while an enormous number of people mean ‘freedom to.’” — Linda Whetstone, Network for a Free Society (UK). “Inequality is not the issue; what bothers people is the ‘psychological threat to my perceived status.’” — Tom Palmer, Atlas Network. “What we have in India is a PPP — Perpetually Planned Poverty” — Rajesh Jain, Free a Billion (FAB). “Top communist individuals in this country come from the upper class of society… Capitalism and Caste cannot coexist.” — Chandra Bhan Prasad, a public intellectual and commentator, India. “Demonetization is the biggest assault on property rights in India… Nehru nationalized industries, Indira nationalized banks, and Narendra Modi nationalized private cash holdings.” — Barun Mitra, Liberty Institute, India. “Regulatory focus is to tap down on innovation because nobody understands something new. Lack of rule of law leads to adverse selection. Legitimate firms exit, leaving only bad actors.” — Susan Thomas, Indira Gandhi Institute for Development Research, India. “There is a messianic belief among regulators that if there is any money made in India it must be taxed. Also underlying core belief among regulators that India is the fastest growing economy so the world owes us investments.” — Sudeepto Deb, Minerva Consulting, India. “There are only two political philosophies: liberty and power.” — Simon Lee, cofounder of Lion Rock Institute, Hong Kong.